Join us for some scary fun and sample tastes of horror, fear and other flavors of frightful situations in this interesting short film program. professional boxer famous for killing a man in the ring. It's Sammy's 21st birthday and he secretly plans to leave his father in order to start a new life without him. But before Sammy can leave, King tries to connect with his son and make him into a man by giving him a gift that will change their lives forever. The “dumplings” are a metaphor for the family and relationship that Sammy longs to have with his father. Eighteen years after having left life under Pol Pot's Khmer Rouge, two Cambodian brothers, older brother Rithy, strong enough to be able to now live with his painful memories, and his younger brother Bunthon who is unable to function in iife because of the trauma he experienced, argue their very different ideas about how to deal with Bunthon's dark, empty life. A traditional Chinese father (Huang) visits his ill son (Justin) cooped up at a “discount” hospital along with Justin’s boyfriend (Chris). Believing that homosexuality can be “cured”, Huang tries to teach Justin the birds and the bees, only to be rebuffed by Chris in song. Huang then resorts to a botched Chinese exorcism that awakens zombies, whom they must defeat by setting aside their own differences. Mr. Nakamura (Won Lee) really loves children and the feeling he gets when children are close to him so he goes to the playground everyday to watch. 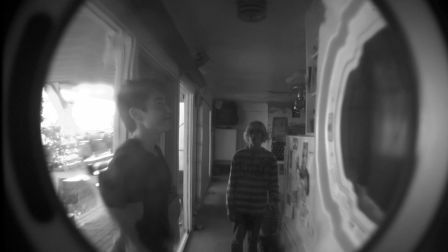 He has a particular fondness for his neighbor Jason (Joseph Newcombe) who he always watches walking home from school. However, being around children makes him afraid of doing something "bad" because of an addiction he can't control. Just how far can he go in getting some sense of satisfaction before he looses control and succumbs to his addiction? philosophical twist raises questions about violence, revenge, and justice.